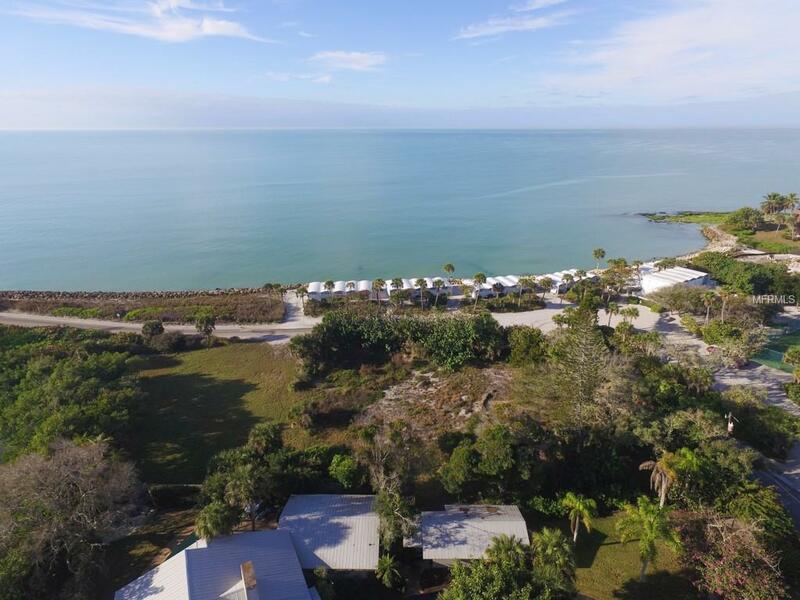 Sited along Heron Lagoon and adjacent to the Sanderling Club beach cabanas and the crystal blue waters of the Gulf of Mexico, this property is in the perfect location to take advantage of all that the community and island have to offer. Imagine endless Gulf and Water views from your dream home sited on just over an acre of land with frontage and a private dock on Heron Lagoon. The beach club is literally right outside your front door while kayaking and canoeing on serene Heron Lagoon are right outside your back door. The home could be large, or it could be more modest but regardless, the views and lifestyle will be second to none. The Sanderling Club is the only guard gated single-family neighborhood on Siesta Key and offers a gated entrance, beach club, tennis courts, Paul Rudolph designed beach cabanas, childrens playground as well as dockage on the bay side of the island. All this and just minutes from all the shopping, dining and activities that Siesta Key and Sarasota have to offer.